Learn to high altitude climb in Peru from the experts at International Alpine Guides. Our Peru high altitude climbing courses are designed for those who want to learn high altitude climbing while experiencing some of the world's best high altitude alpine climbing. Our choice of peaks Urus Este, Ishinca, & Tocclaraju, are an excellent introduction into South American technical mountain climbing. We begin by basing the trip in the mountain town of Huaraz, Peru, in the heart of the Cordillera Blanca mountain range. We begin our acclimating and training process by travelling by private vehicle to the high mountains fortraining in the proper use of ice axe and crampons andglacier travel on the easily accessible Pastouri Glacier. Then we trek into the Ishinca Valley with mule support where we attempt Urus Este, a perfect introductory peak. Then it's on to Ishinca, which is a moderate glacier climb at altitude. 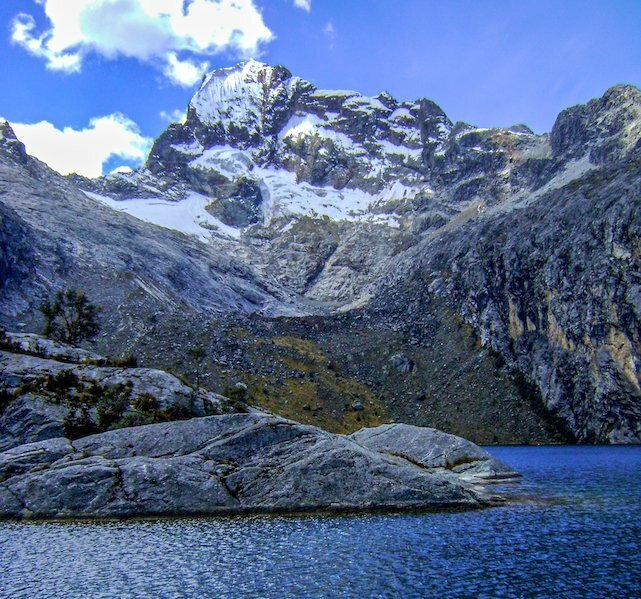 After Ishinca, we climb the spectacular Tocclaraju, a technical 6,000 meter peak. After establishing a high camp, we wake early to climb the classic North Ridge. The climb involves snow and some ice climbing up to 70 degrees. Our Peru high altitude climbing course is considered to be an introductory course for those who are in excellent physical shape or for those with perhaps some basic mountaineering training under their belts. We cover all the basics of steep glacier and snow climbing prior to tackling the bigger peaks. We don't know of anywhere else in the world that is more suited for a high altitude course than the Cordillera Blanca. Perfect for those with bigger goals in mind! We provide full logistical support including huts, mule support and professional American mountain guides that are also great instructors and well versed in Peruvian mountain climbing. We believe in small groups for high altitude mountain climbing for everyone's enjoyment and safety. We also arrange Peru climbing trips on a custom basis for those who have specific goals in mind. We can easily accommodate your goals, abilities and desires with a custom itinerary. On the Peru mountaineering trips we provide ground transportation from Huaraz to the trailheads. Lodging is provided in comfortable hotels in Huaraz at double occupancy with breakfast included, and at base camp we provide lodging and meals in a comfortable hut. Arrival in Huaraz. We stay at the Swiss-run hotel Andino, one of Huaraz's nicest hotels. Evening meeting. Acclimate in Huaraz and explore the town along with some afternoon lectures on gear and planning. Huaraz is the hub of climbing in the Cordillera Blanca (10,000 feet). Travel by private van to the Pastouri Glacier to participate in a snow climbing skills seminar (15,000 feet). We teach a full snow school on how to properly use an ice axe and crampons, including ice axe self arrest and proper snow climbing technique. Overnight in Huaraz. Travel by private van to the Pastouri Glacier a glacier skills seminar (15,000 feet). 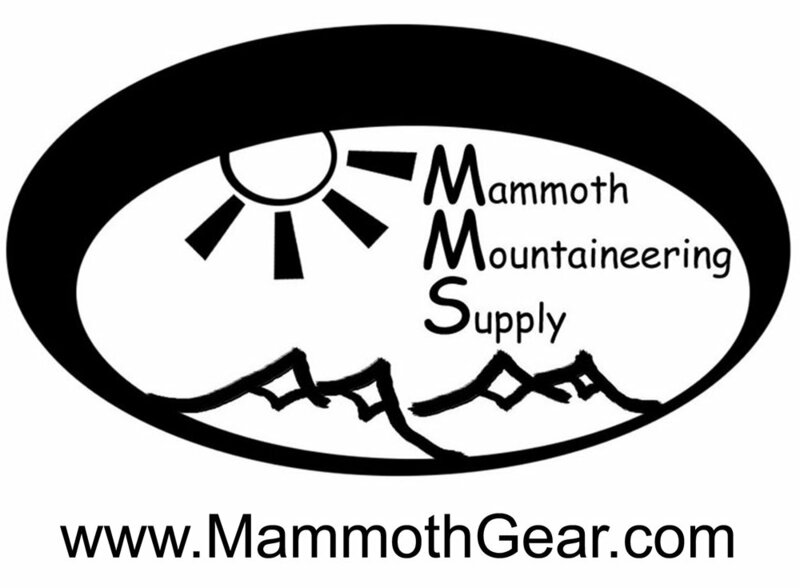 We will teach all the glacier travel and rope skills you will need on the climbs. Overnight in Huaraz. We trek mule-supported from Pashpa to the Ishinca hut, a very scenic hike. We stay in a clean, comfortable Itailan run hut in the Ishinca Valley (14,435 feet). Rest and enjoy the Ishinca Valley while acclimating with some rope technique practice. Summit day on Urus Este (17,782 feet). After an alpine start, the climb is relatively straightforward with a small section of roped glacier travel-a great warm up for the higher peaks. We overnight back at the Ishinca hut. Another rest and acclimating day in the Ishinca Valley. Summit day on Ishinca (18,142 feet), with specatular views of the surrounding Cordillera Blanca. After a three hour hike to the toe of the Ishinca glacier, this is an easy climb across a moderate glacier to with a short steep section near the top. A perfect place to practice all the skills you have learned. Descend back to the Ishinca hut. Rest day at Ishinca Valley and prepare to move to our Tocclaraju high camp. Travel to Tocclaraju high camp (17,060 feet). A steep hike after which we set up a high camp in tents. Summit day on Tocclaraju via NW Ridge (19,790 feet, 6000 meters), a little harder than Ishinca, this is real high altitude mountaineering where we apply all the skills you have learned. We then descend all the way back to Ishinca base camp and overnight at the hut. Hike out to the trailhead with mule support and then back to Huaraz for a well deserved celebratory dinner and rest.